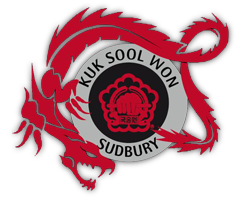 How will Kuk Sool help me? Meditation, removing thoughts from your mind, leaves a clear, reenergized mind and body that is able to concentrate on the present task. In addition, meditation instills self-control and self-discipline. Overall, meditation strengthens the spirit, mental well-being and brings balance to a student's life. Stretching and body conditioning exercises (mohm puhl gi) condition the total body. They create smooth, flexible and strong muscles externally and condition internal organs as well. This can be especially beneficial for injured people or people with back problems. In fact, Kuk Sool has been recommended by physicians as part of a rehabilitation program. Breathing exercises (ki cho jah ki) increase oxygen flow to the lungs, heart and mind which bolster an individual's alertness and mental outlook. Moreover, breathing control exercises, such as ki cho jah ki, provide an opportunity for students to clear their minds which will improve their ability to focus and concentrate. These exercises also tone and strengthen internal organs. According to Korean tradition, those who develop their "Ki" (internal power) through breathing exercises have long and healthful lives. Basic hand techniques (soo gi) and Basic kicking techniques (johk sool) condition and strengthen the upper and lower body, respectively. By executing hand strikes and kicks repeatedly, students acquire increased stamina and the balance and coordination needed to strike with precision, fluidity and power. Falling techniques (nah bub), after becoming proficient, allow a person to fall without getting hurt. Another benefit is body conditioning: practicing falling techniques strengthens internal organs and tones connective tissues such as tendons and ligaments; with repeated practice, the body becomes "tighter" and better-able to withstand the effects of falling. Each individual is allowed to progress at his or her own pace according to their abilities. Forms practice (hyung) combines basic hand and kicking techniques in a pattern of "connected moves." This provides the foundation of a student's martial arts training: timing, balance, speed, coordination, and control -- all are invaluable to the martial artist. The practiced Kuk Sool student trains to move as elegantly and effortlessly as flowing water. Joint-locking techniques allow a weaker person to overcome a much stronger adversary by reversing the power of the stronger. Using these techniques with balance and speed, a student can joint-lock, throw, control and/or redirect an opponent. When performed properly, these techniques use the weakness of your opponent's joints and vital points against him or her. Animal techniques are based upon the movements and/or characteristics of certain "martial" animals. Balance and speed resulting in tremendous strength are characteristics borrowed from the praying mantis (sah mah gi), with its heavy head and long legs. The snake (bahm) is completely defensive, only striking when threatened or attacked. The fighting principle learned from the snake is a defensive attack that allows the entire body to strike as a single force. On the other hand, the tiger (ho rahng ee) is entirely offensive. Kuk Sool recognizes the tiger's speed and body weight to aggressively pounce upon his prey. Another attack animal is the eagle (dohk soo ri): it frightens its prey then attacks from above and behind. In Kuk Sool, eagle techniques often begin with faked techniques followed by a grab to pressure points with penetrating fingers. Like the eagle, the crane (hak) is an aggressor. However, the crane utilizes loose, relaxed and quick moves exhibiting a softer power than the eagle. The crane focuses total energy on one point with a long-ranged, relaxed strike. Korean martial arts employ only the basic fighting principles of the "martial" animals. With the fact that people are not animals, Korean martial arts do not try to imitate the animals. Weapon training perfects the balance between body and weapon. With assiduous practice, weapon training is as beneficial to the mind as to the body. It demands concentration and self-control to avoid injury; also, it aids physical conditioning from performing the task. Specialized training introduces students to higher-level techniques, pressure-point training, and advanced hand strikes and kicks. Also, sparring training is offered by notably proficient instructors (sparring gear is mandatory). In addition, specific instruction is given on how current training can be useful in women's self-defence and street fighting situations. Mental training is evidenced throughout Kuk Sool training, whether in meditation, forms practice, weapons training, etc. In addition, mental training is the basis of student conduct. Students are expected to display a high level of respect, self-control, and discipline during each class. In Kuk Sool, mental training is crucial: the body is not strong without a strong mind.